Here are a few of my favourite pieces from the show. I love these super cool Raku face vases by Kate Reynolds. Alone they make statement sculpture pieces but they would look so fun-filled with masses of white flowers or contemporary grasses. 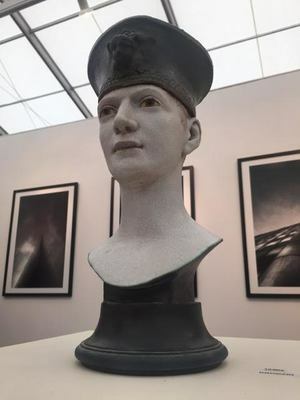 I’m already a fan of Philippe Lodzia-Brodzki, a Belgian sculptor who started creating his beautiful works when he was just 14 years old, so it was wonderful to see his work in person at the art fair. 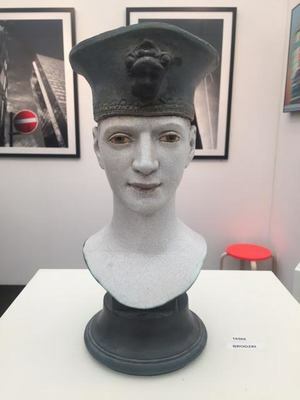 His Brodzki head sculpture captured my imagination. The man’s expression has a captivating haunted feel and the more I looked at it the more I wanted to know the story behind the person it was modelled on. As I was leaving, one last piece caught my eye, this Bronze horse's head. The artist’s style and use of texture gives a movement to the piece, and I found it wonderfully evocative and inspiring.